​Blown, cut, and polished glass. 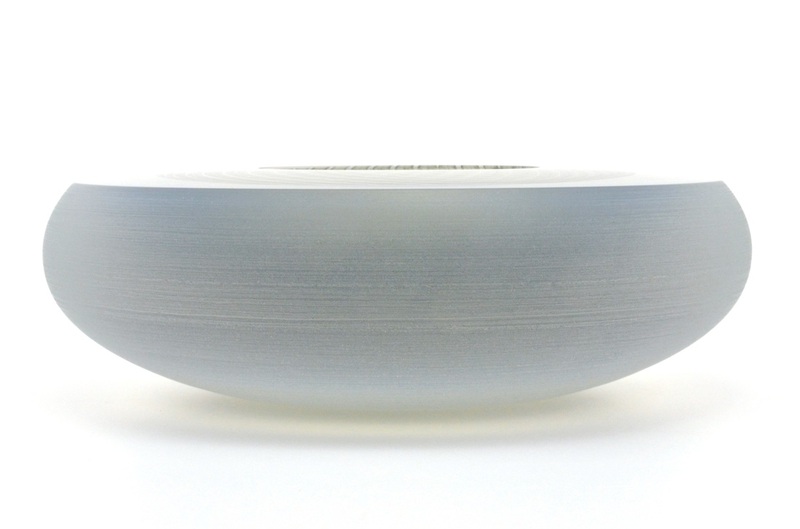 9.5"-10.5" wide. 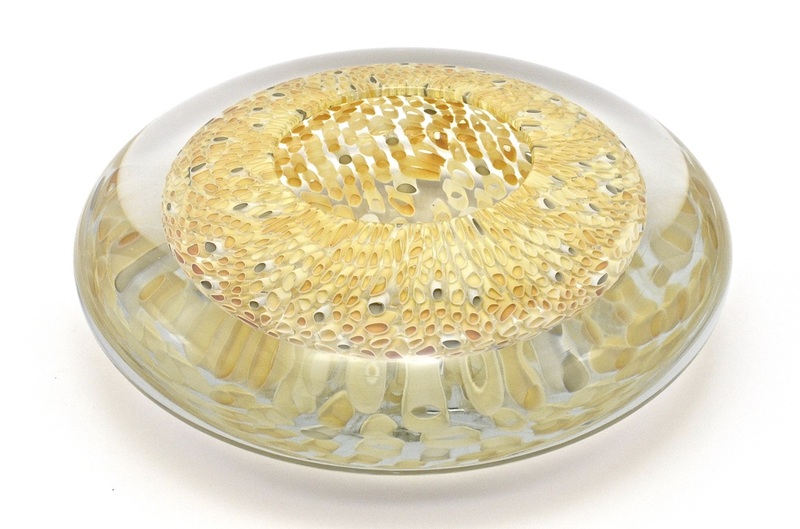 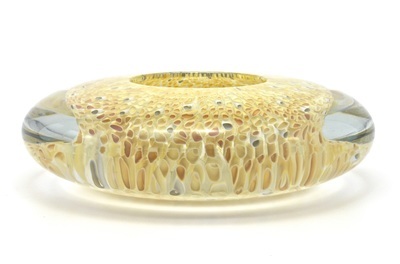 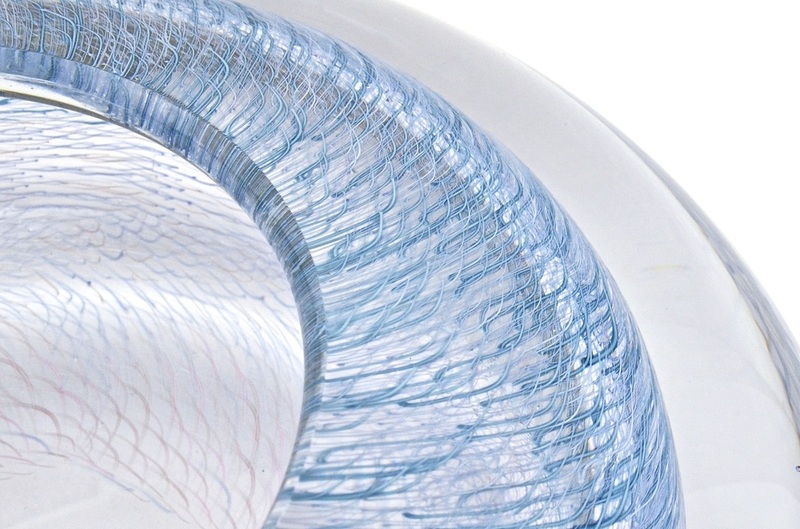 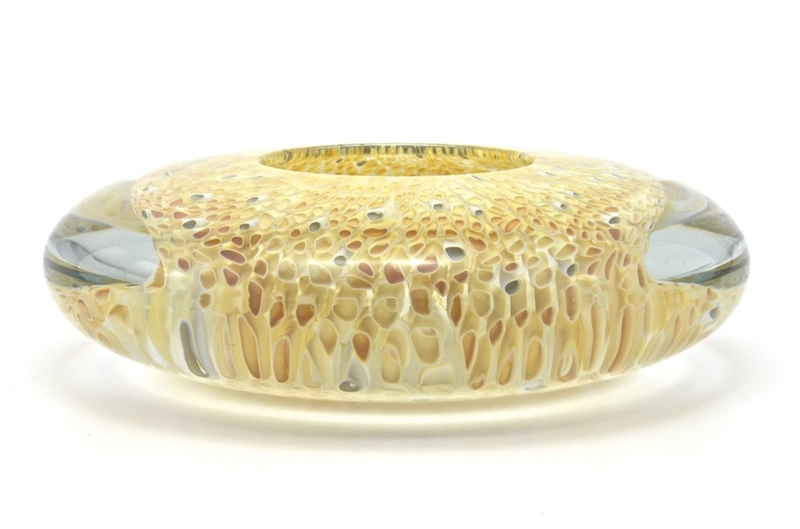 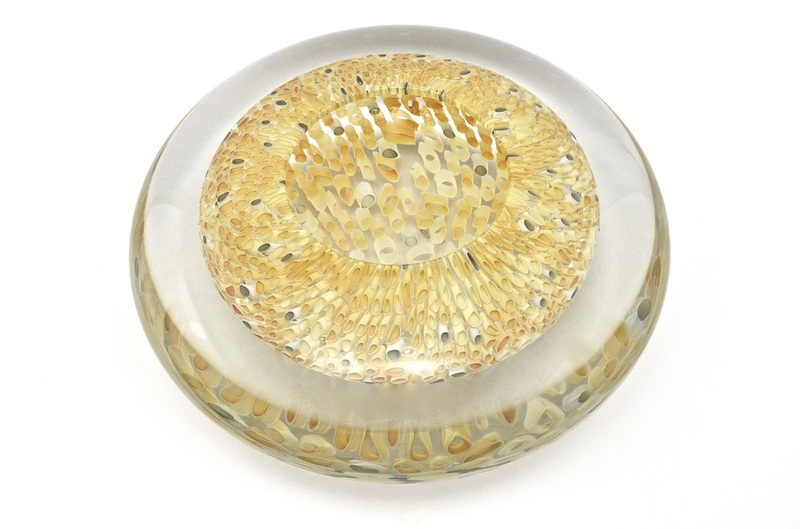 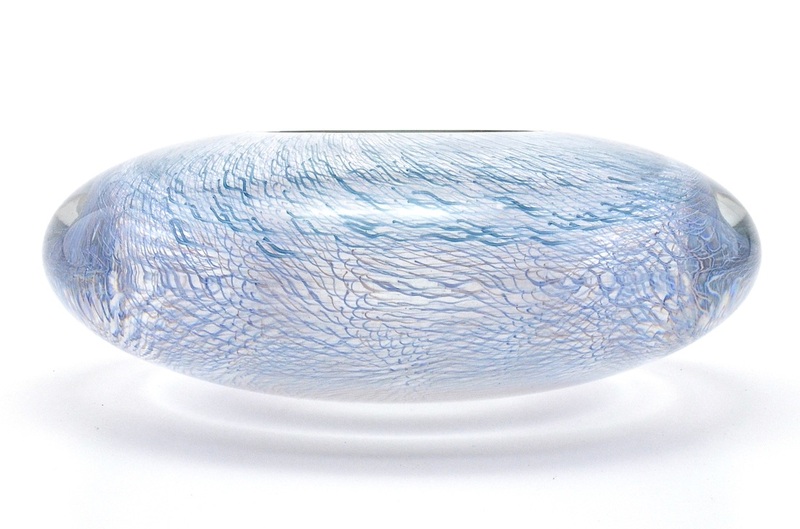 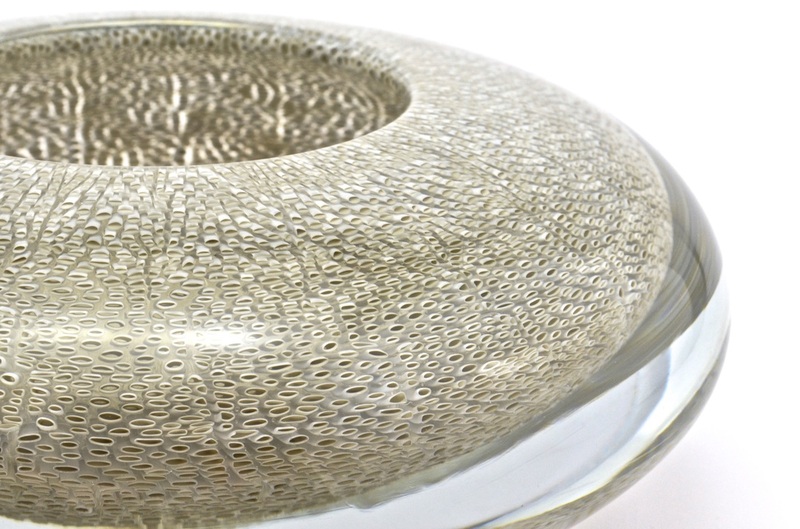 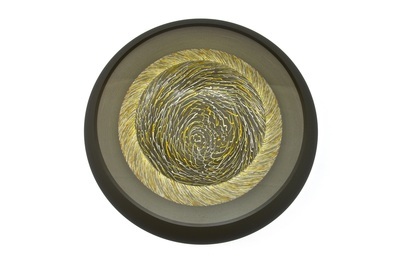 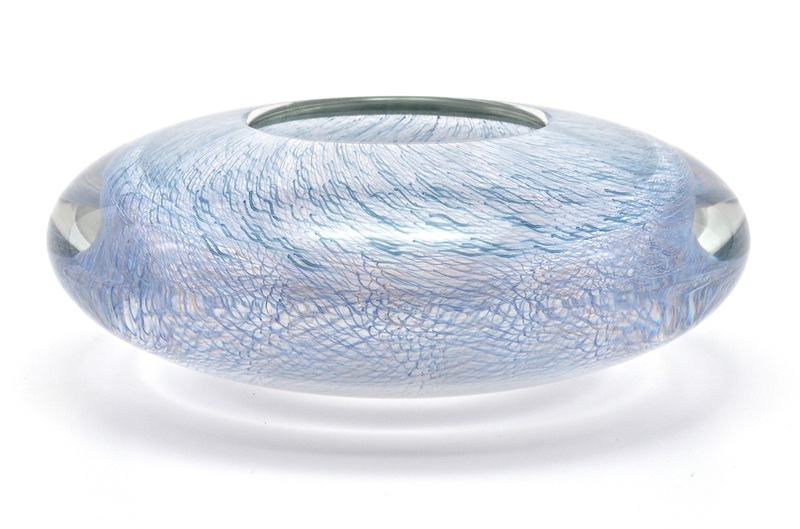 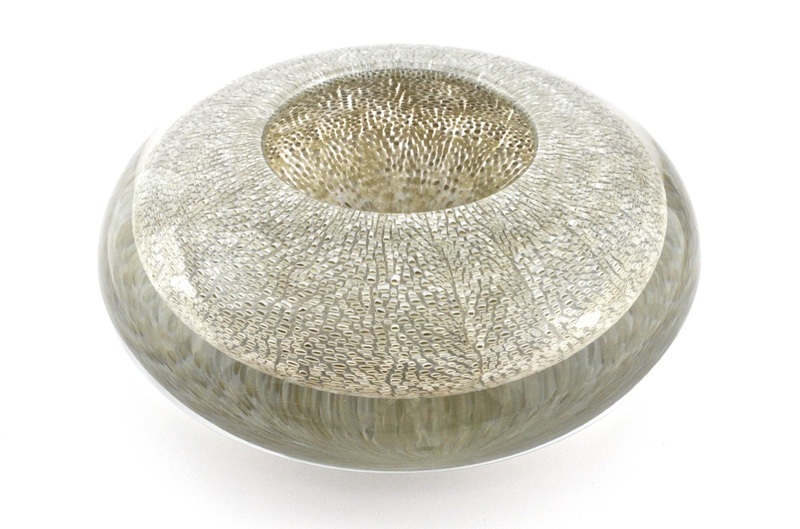 These heavy bowls feature an inside layer of intricate cane or murrini pattern suspended in a thick layer of crystal. 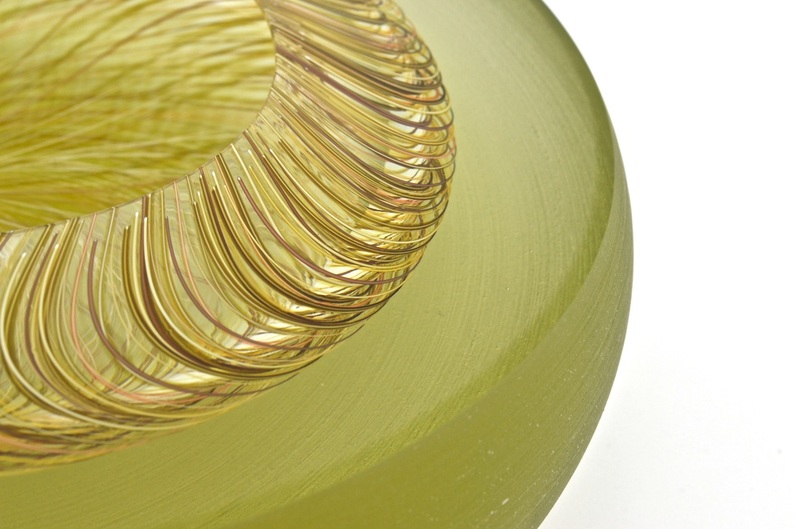 These pieces are first blown using traditional Italian glassblowing techniques. 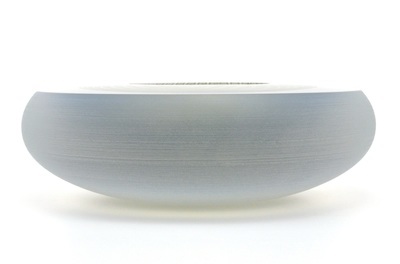 After cooling, the piece is then carved into shape while being turned on its center axis. 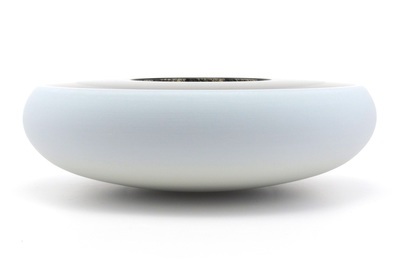 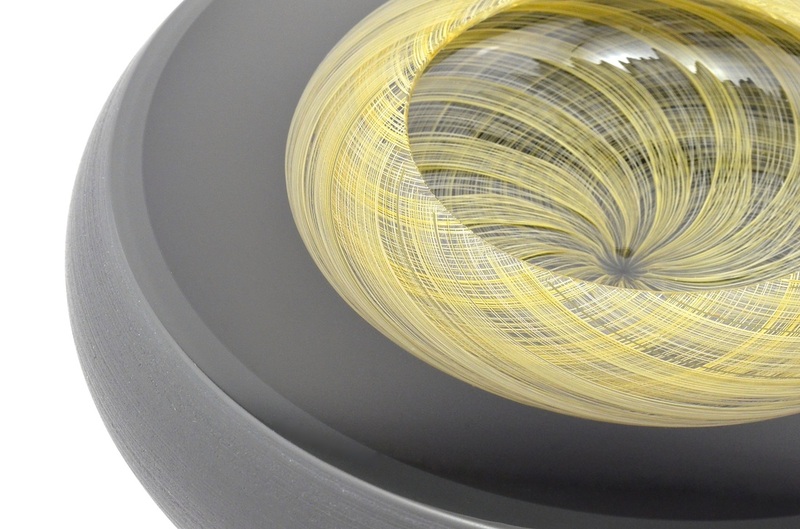 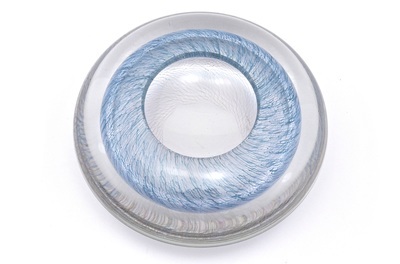 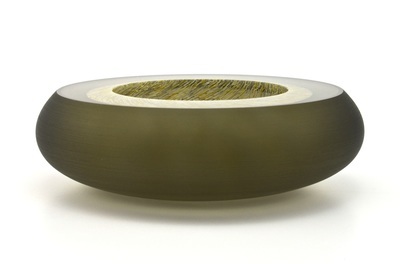 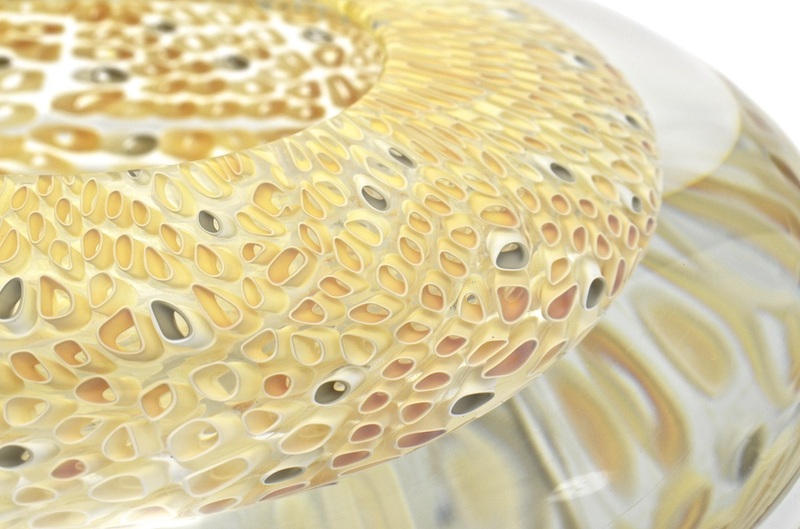 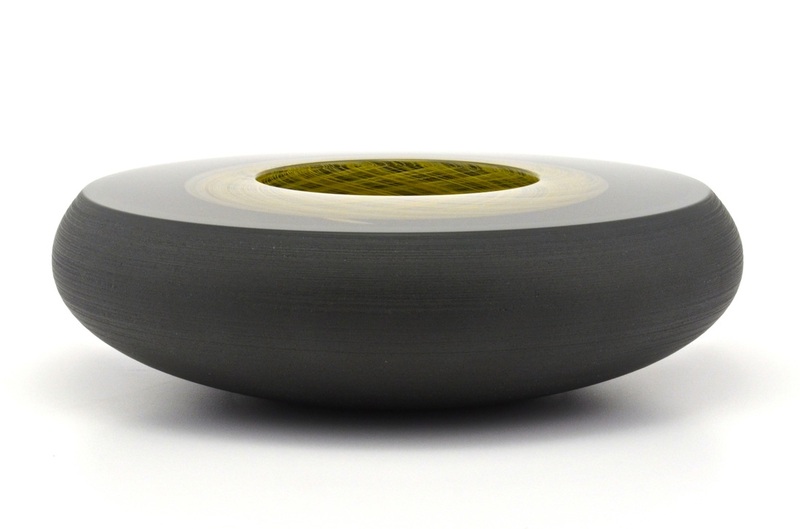 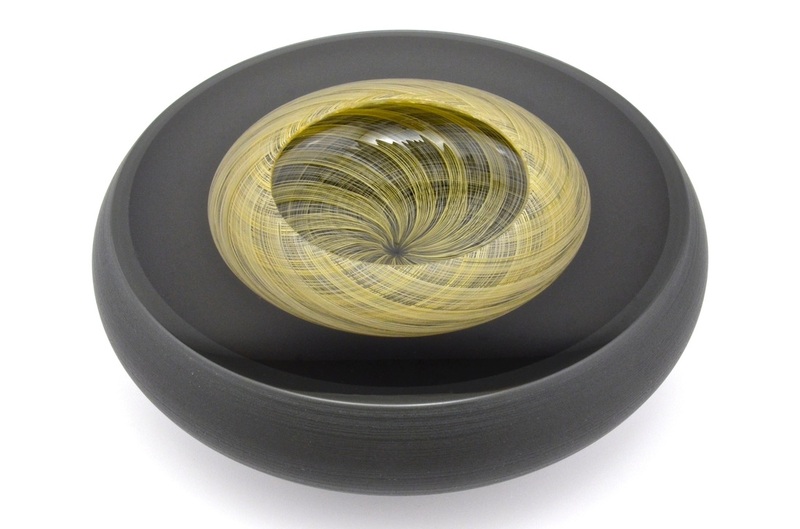 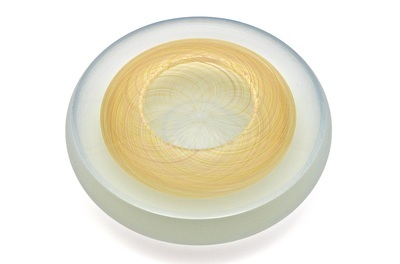 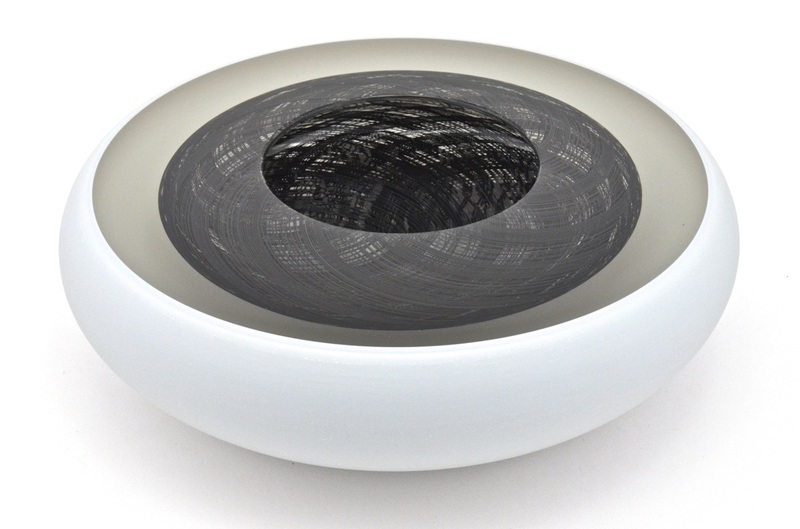 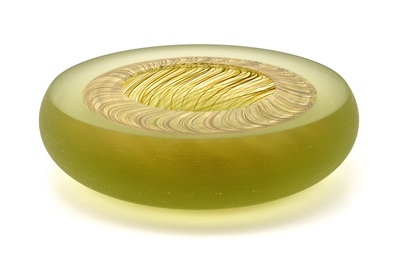 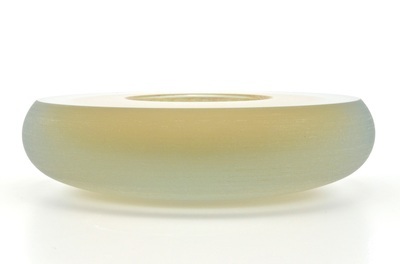 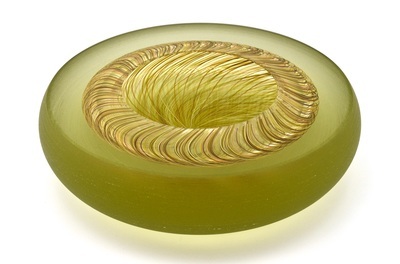 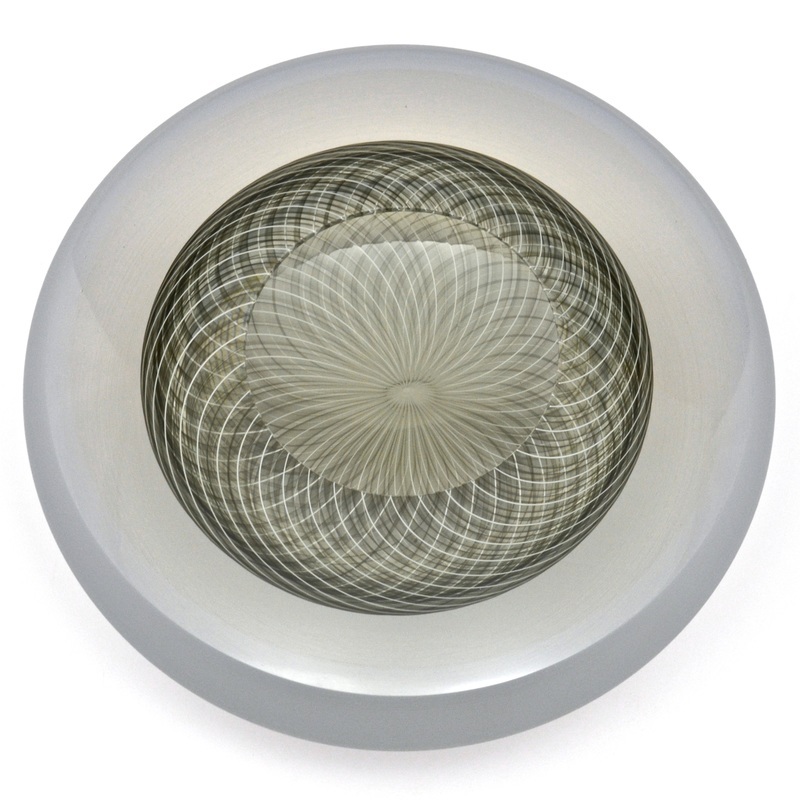 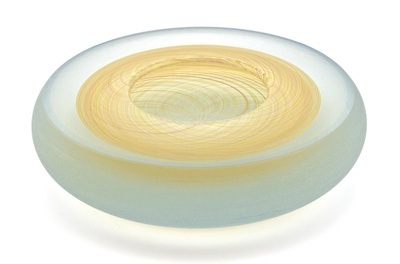 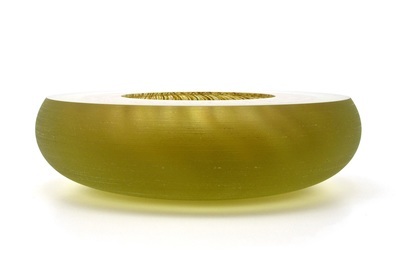 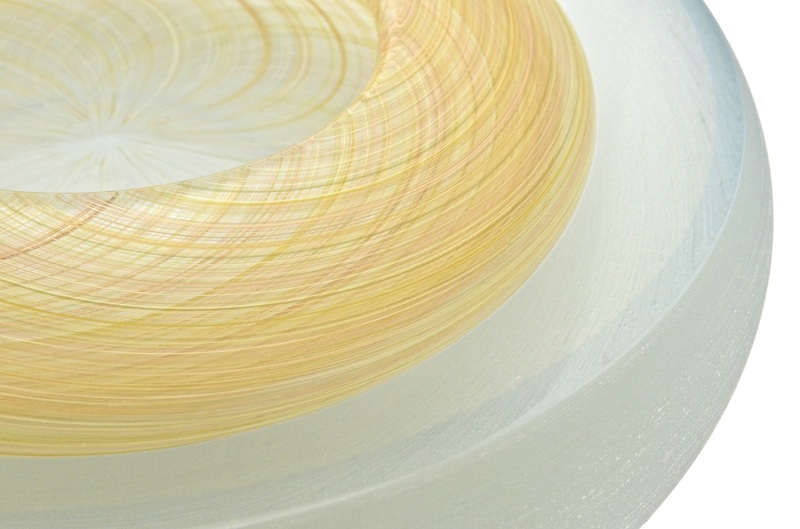 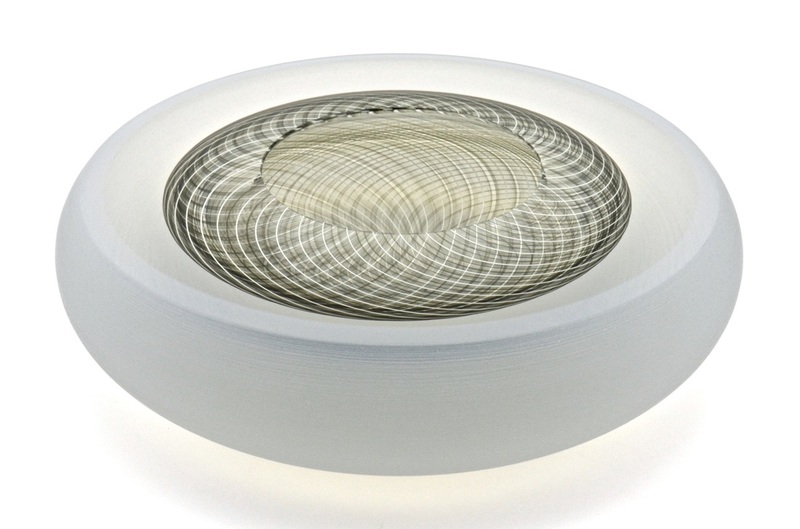 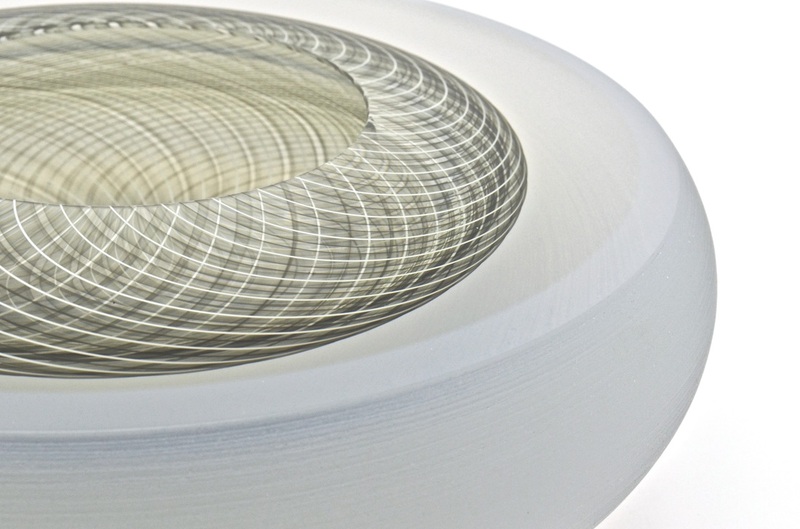 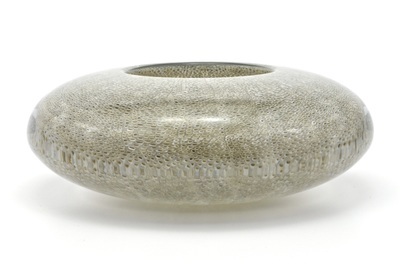 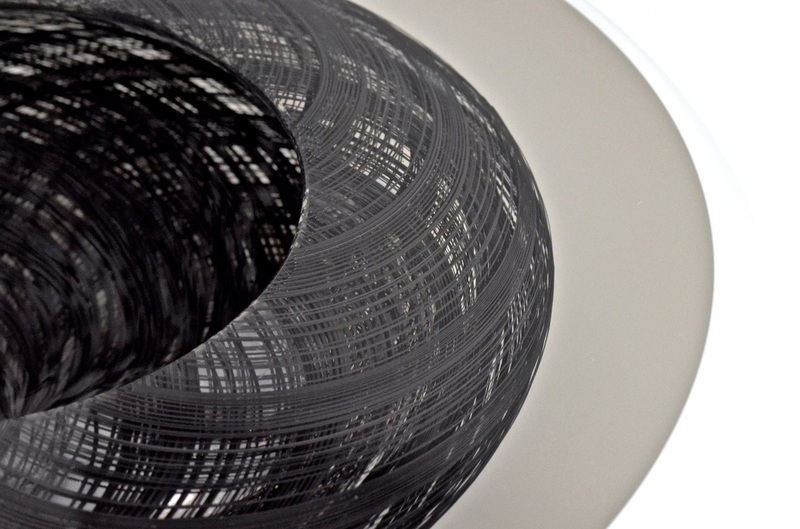 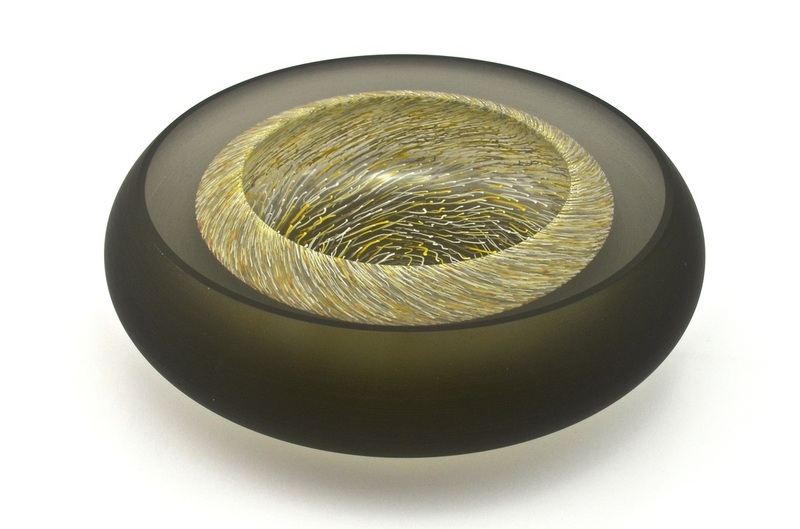 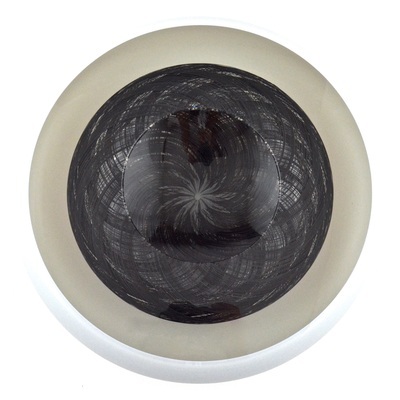 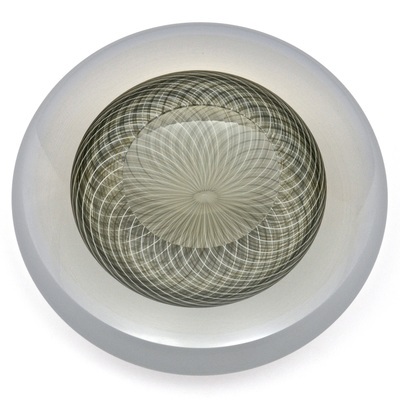 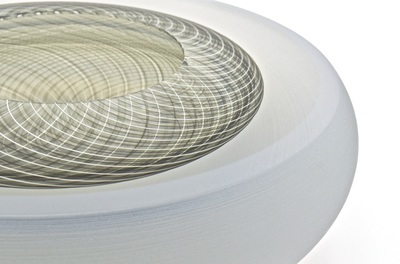 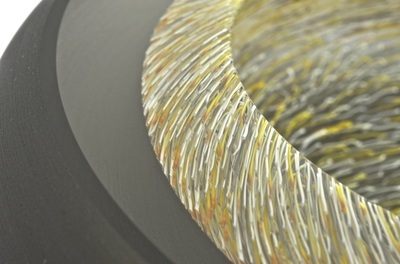 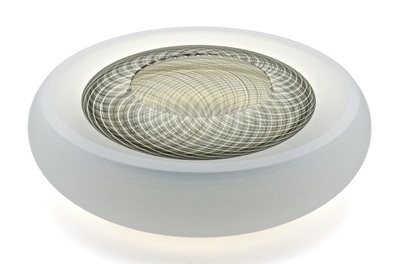 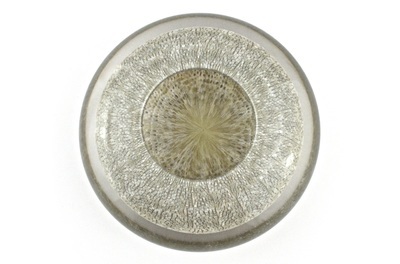 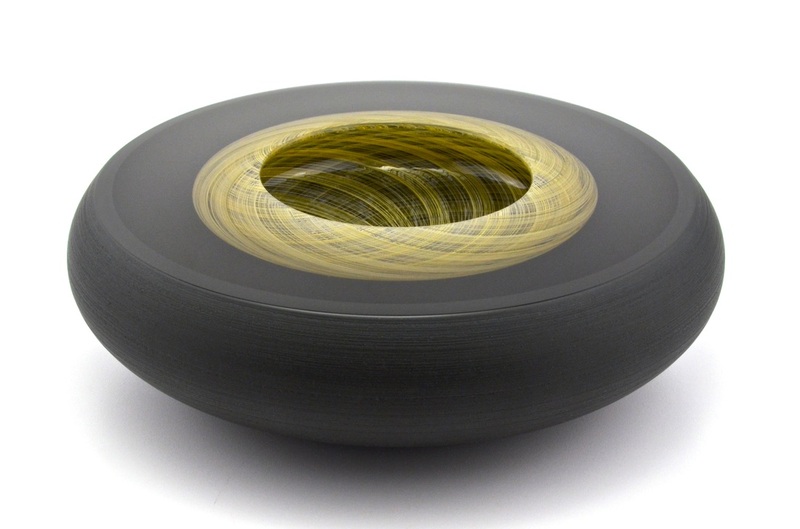 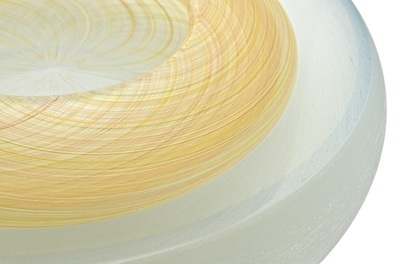 The surface is then finely polished, giving the bowl its unique optical qualities.